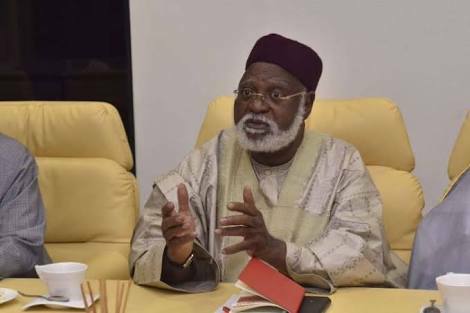 Former military head of state, General Abdulsalami Abubakar has issued a clarion call to the political elite to save the country from sliding into complications. He said Nigeria is already in dire straits and warned that no effort should be spared to pull it away from more danger. “The warning signs are there that things could get worse for the country if not properly managed. It is time to put our house in order. We must not carry our luck too far,” he said in Ibadan at the maiden edition of the General Abdulsalami Abubakar Foundation Peace Lecture. “Nigeria is being battered from different fronts but we are a strong nation. Otherwise, the story would have been different by now,” he added. Abdulsalami said that while disagreement is normal in every society or nation, it is more important to find means of resolving such disagreements peacefully. His words: “Peace is not the absence of disagreement. Every normal society must have disagreements. “This is because we are not born alike, we don’t think alike, we don’t talk alike. Even twins do not operate alike. Hence, there is nothing wrong with people having disagreements. What is expected is that when we have disagreements, we would find peaceful solutions to the issues. “In other words, it is difficult to imagine a Nigerian society in which the groups would not disagree with one another. It is foolhardiness for us to be looking forward to a Nigerian society in which the religious, ethnic or political groups in the country would have no reasons to disagree with one another.